•Destinations:Hanoi-ThaiNguyen-BacCan-BaBe National Park-BaBe-Cao Bang-BanGioc Falls-LangSon-MauSon. 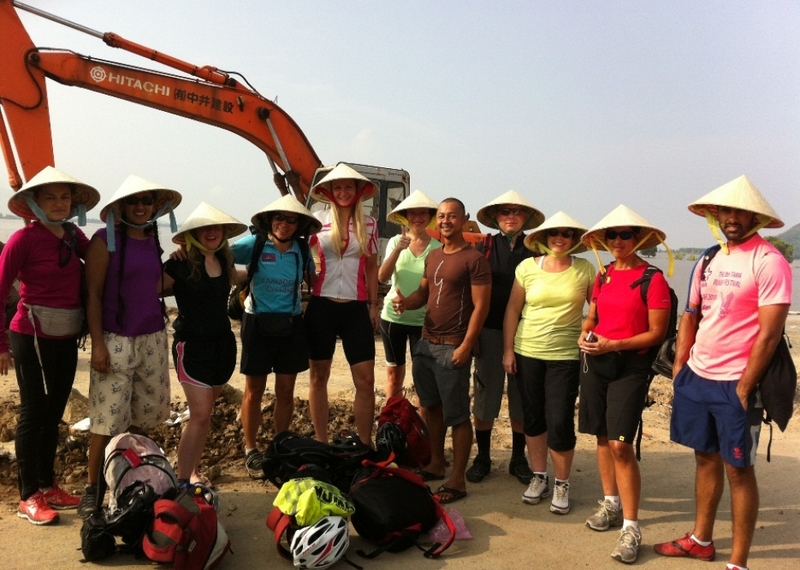 Trip profile : We offers North East Vietnam challenging cycling through a stunning unexplored area rich with cultural and geographical wonders. From Vietnam’s buzzing capital, Hanoi, we journey to the remote undiscovered region. 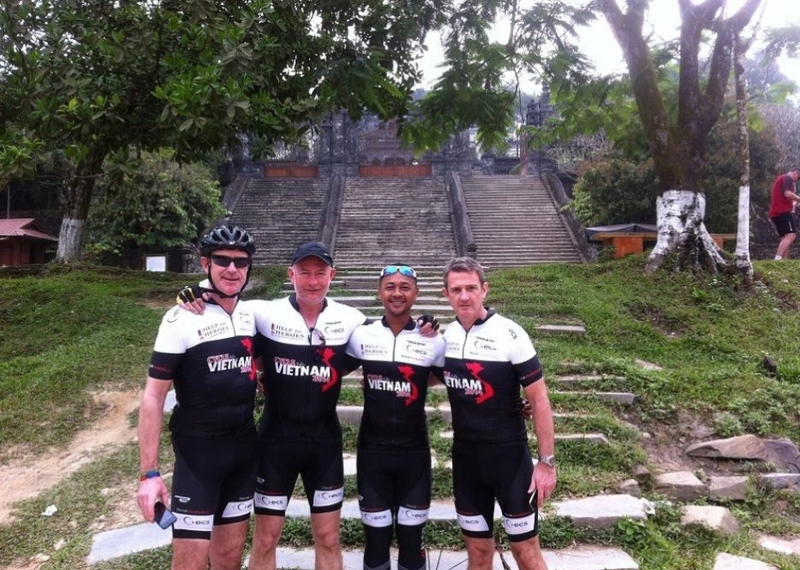 Cycling hilly hairpin bends amongst slopes, ridges, valleys, and limestone karsts the outstanding natural beauty will take your breath away.Terraced paddy fields and surreal limestone peaks are home to a vibrant, traditional tribal culture. Crops and dwellings seem to cling to the rocky terrain. We encounter Red Dao, Tay, White Hmong, Tay and Lo Lo communities who, until recently, have lived in complete isolation from the outside world. 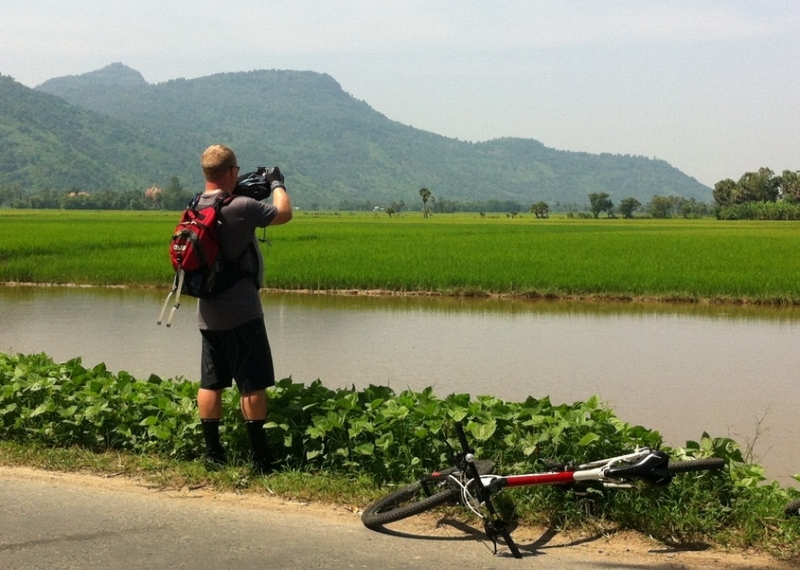 We witness an unchanged way of life, visiting the local markets, and seeing wildlife including water buffalo, pigs and horses. The tour guide will pick up at hotel. 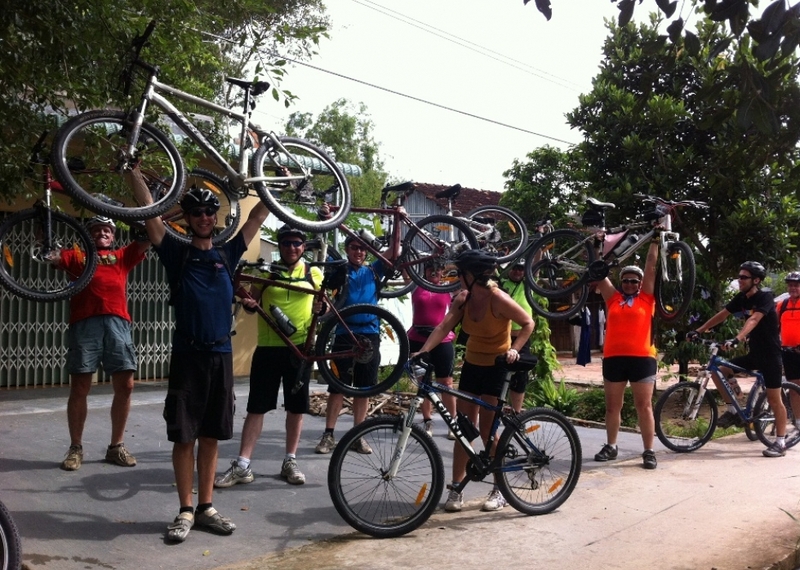 Transfer by private bus/ car to Thai Nguyen then we Start bike ride to Bac Can. 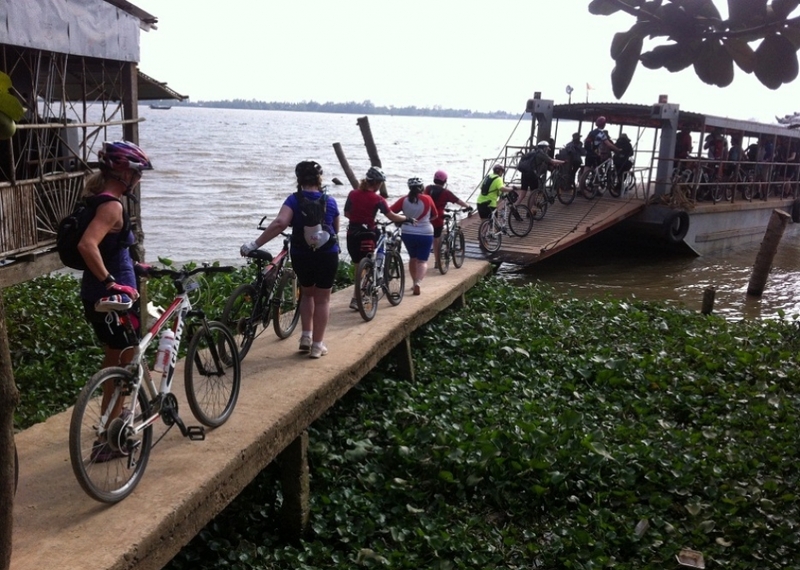 On the first day easy ride up and down hill, scenery of palm trees with village of Tay and Nung along the way. O/N Bac Can. 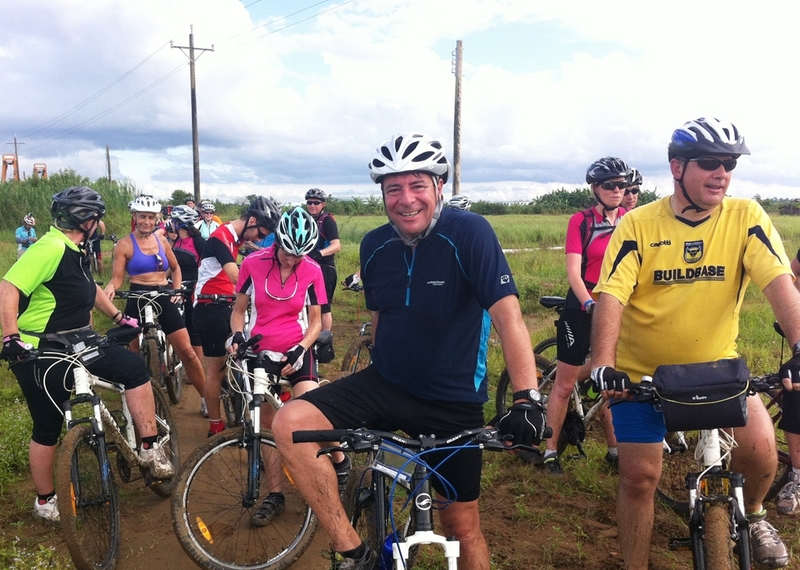 Afer breakfast, check out, cycling 20 km outside Bac Can and uphill, turn off highway 3 to a quiet road, great view small village of Tay and Thai on the opposite of the river. Lunch on the way. Later afternoon we take our boat cruise on Ba Be lakes. The national park of Ba Be is centered on large Ba Be Lake. This is just one continuous water body although its name means "three lakes”. Visit Pac Ngoi village.O/N in Pac Ngoi village - Ba Be National Park. 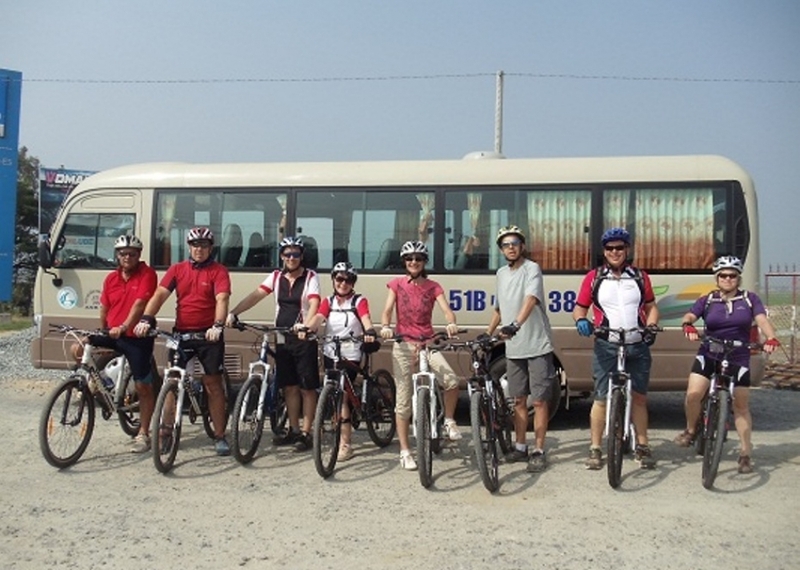 We ride through several passes of Pia Oac mountain range to Nguyen Binh, then we have bus transfer to Cao Bang. Here the Hmong, Zao, Tho and Nung ethnic minority people all live in harmony. O/N Cao Bang. Good paved road all the way to waterfalls. Up and down Ma Phuc pass. Scenic beauty of Karst valley, numerous Tay and Nung villages. Picnic lunch and swim at Ban Gioc waterfalls - the border falls between Vietnam and China, which boasts the largest waterfall in Vietnam. 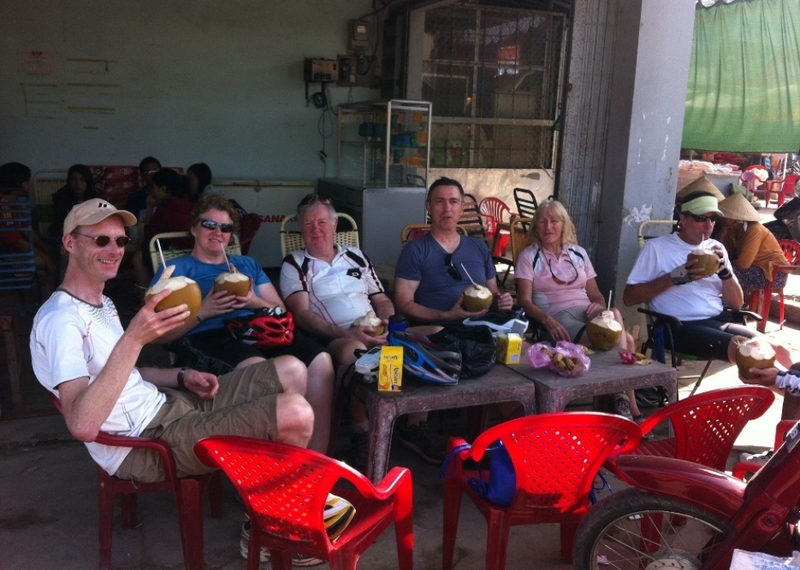 Later afternoon bus transfer back to Cao Bang. O/N Cao Bang. At leisure time to discover villages around Mau Son. 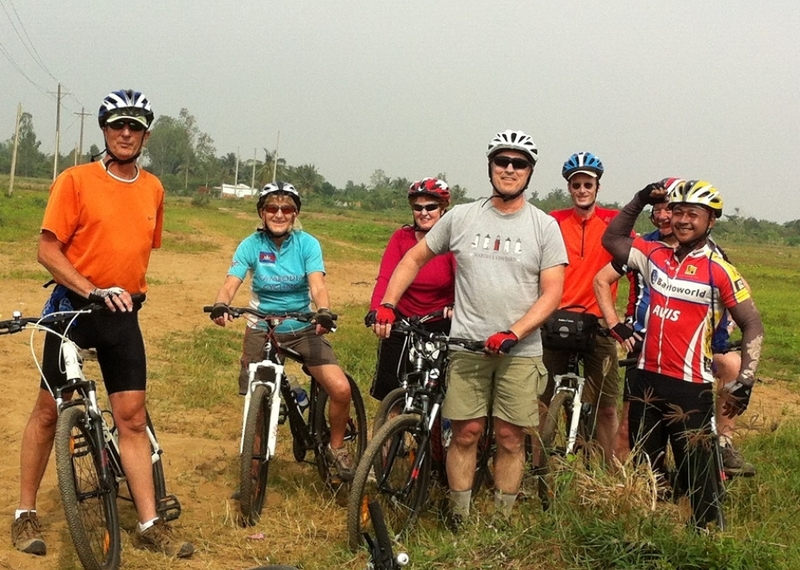 Later morning ride down hill to Lang Son. This border town had been all destroyed during the recent Sino - Vietnamese war, but was rebuilt to become an important trade center in north eastern region. Afternoon we take bus transfer to Hanoi. Farewell dinner. End of tour..